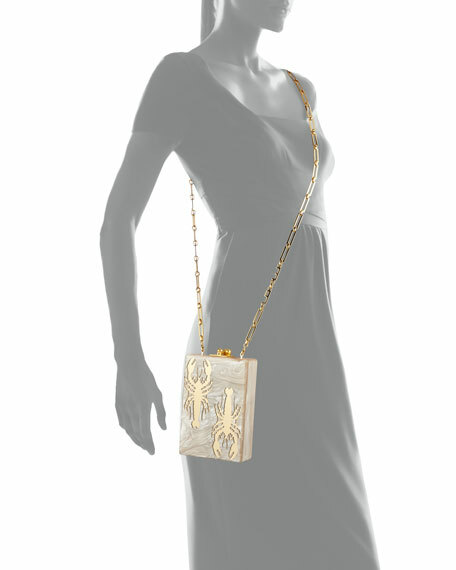 Edie Parker "Carol" hand-poured acrylic clutch. Hard-shell body with crayfish motif. Interior features signature vanity mirror. Fits a smartphone including an iPhone® 7 Plus. 6.5"H x 4.5"W x 1.8"D; weighs approx. 1 lb. Exclusively ours. 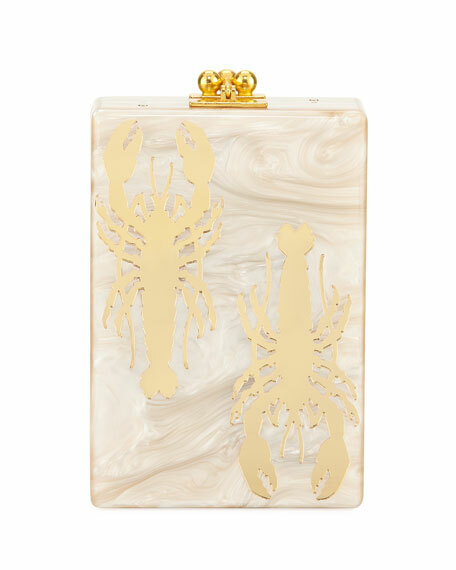 Bari Lynn box clutch bag in double-sided glittered acrylic. 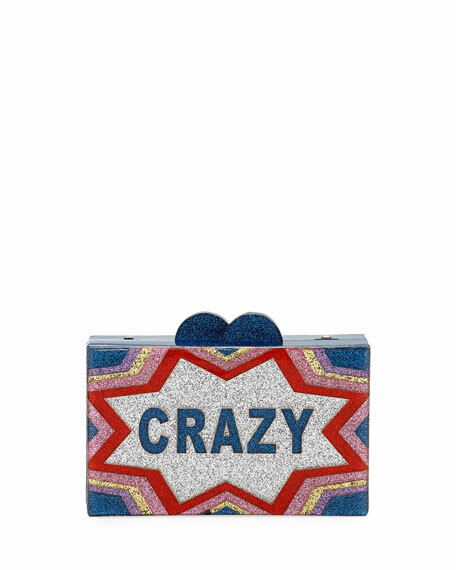 "Crazy" and "Cool" glittered text at front and back. Shoulder chain may be tucked inside. Hard-shell style with magnetic closure. Polyester lining. Imported. 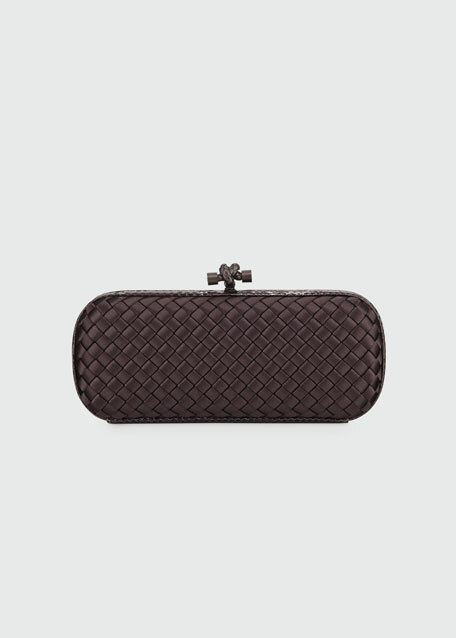 Bottega Veneta small frame clutch bag in signature intrecciato woven snakeskin. Brunito brass hardware. Signature knot detail push-lock closure. Fully lined. 4"H x 7"W x 2"D. Made in Italy. Exclusively ours. 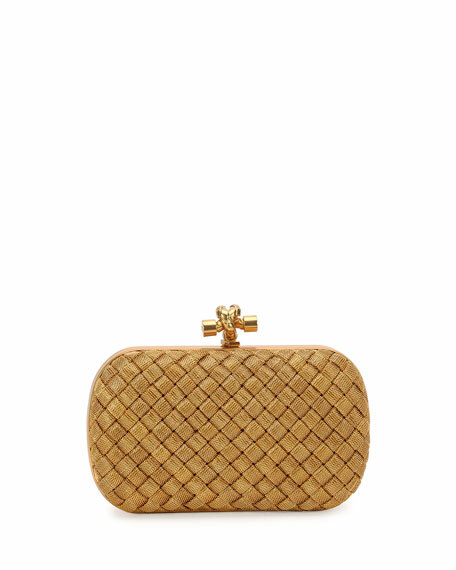 (Medium Beige only) Bottega Veneta woven satin clutch. Shiny tonal snake trims hard-shell body with rounded corners. Burnished gunmetal push-lock clasp with knotted, woven design. Satin lining. 4 1/2"H x 10"W x 1 1/2"D. Made in Italy.